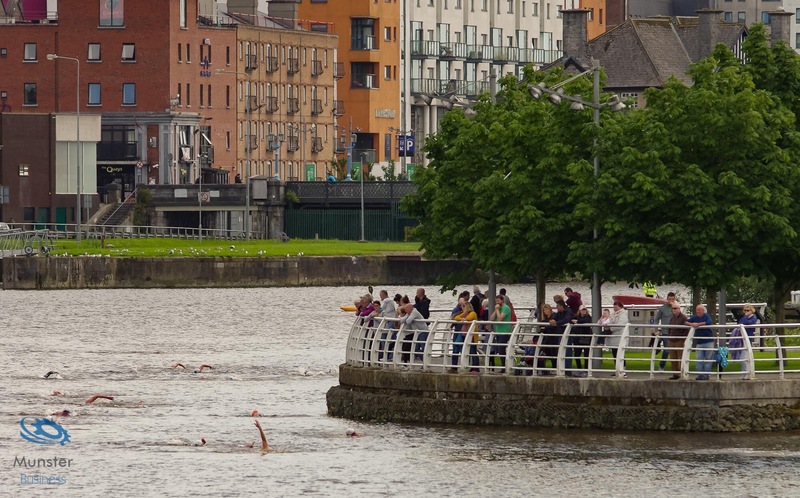 Hundreds of spectators lined the Shannon on Clancy and O’Callaghan strands on Saturday evening for the annual Thomond Swim. 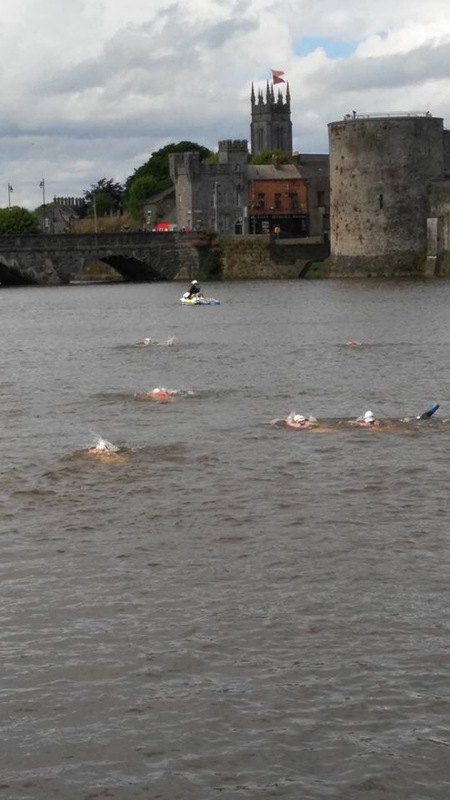 The amateur swim up the Shannon from st. Michaels Rowing Club to King Johns Castle and back is a crowd pleasing event every year. The event was sponsored in 2016 by Fly Shannon. Over 87 swimmers registered and took part in the chilly waters this year with most enjoying a hot antiseptic shower at St. Michaels rowing club on their return. This year the sun shone for the duration of the swim despite it being a showery and blustery day. Limerick Marine search and rescue as well as the Garda jet ski service were also attending and helping with the event. The following photos are from Pat Clarke Browne of Munster Business media Services and Training. Thanks to Andrea Martin for the updated no’s of swimmers and registrants!